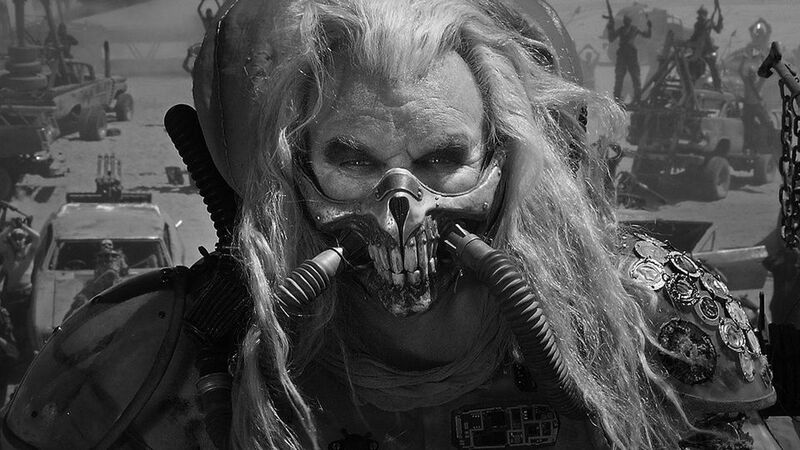 ‘Mad Max: Fury Road’ Black and Chrome Edition comes with a brand new 1080p HD transfer and is presented in 2.40:1 aspect ratio. Previous editions of this film look incredible in all it’s colorful glory with bright oranges and blues throughout. Director George Miller had always wanted it to be in black and white, and in his introduction to his edition, he says this is his favorite way to view the film. In my opinion, this Black and White version or Black and Chrome edition looks damn good. There are pros and cons to this edition though. The color palette is extremely well-balanced with luscious whites and a wide gray scale. The black levels are always deep and inky throughout too. With this black and chrome version, you’ll notice a ton of new tiny details on the trucks and vehicles, which was very cool to see. Closeups of the actor’s faces with all of their make up effects looked lifelike and amazing. However, the big sandstorm didn’t look as good in this black and white version, but looked rather soft. The rest of the wide shots looked incredible deep though. There was some banding here and there, but other compression issues did not show up. I’m super glad there is this black and chrome version here, and I will definitely be re-visiting this again, because you get more out of it with just black and white, but still, the color version is just so beautiful, that I can’t help but watch both back to back. The Audio: If the above video presentation wasn’t good enough, then this audio mix will surely be. There are several different options here, one being a Dolby Atmos mix, however, I’m sure most of you won’t have the Atmos set up yet, but if you do, prepare yourself to have your mind and ears rocked. That being said, most of you will choose the lossless Dolby TrueHD 7.1 MA mix or the Dolby Digital 5.1 mix. Introduction by George Miller (HD, 2 Mins.) – This is a new very short extra that is not on any other of the releases. 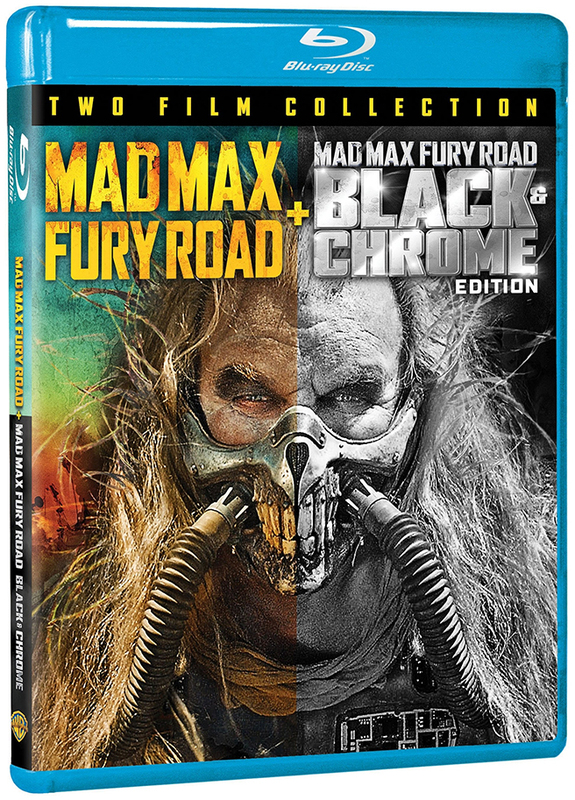 George Miller talks about why this black and chrome edition is so awesome. 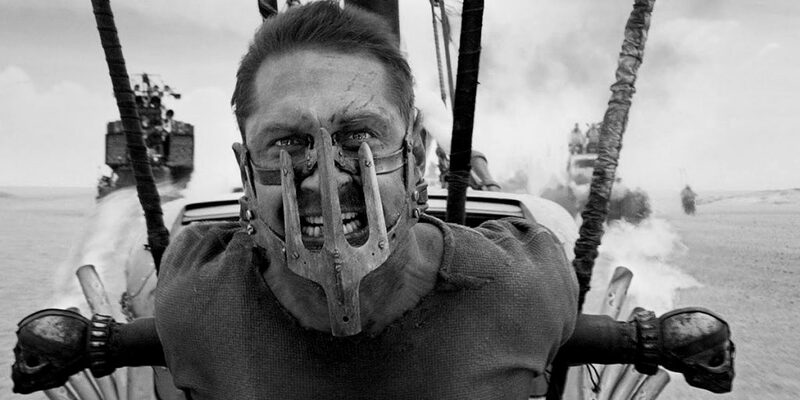 ‘Mad Max: Fury Road‘ is one of the best movies you’ll ever see. Everything about it is top notch quality filmmaking and it never gets old or tiresome to watch. It’s probably the best action film and road trip movie to ever be filmed. Not only that, most of the stunts and effects were practical and not CGI. This black and white edition, or shall I say black and chrome edition looks incredible and is a new way to watch the film. It looks incredible. Not only do you get that version in this set, but you also get the colorful version as well, along with all of the previous bonus features from the past editions. There is no 3D option though, which is fine with me. This entry was posted on Friday, December 9th, 2016 at 12:50 pm	and is filed under Film, News. You can follow any responses to this entry through the RSS 2.0 feed. You can skip to the end and leave a response. Pinging is currently not allowed. « Film Review: ‘Office Christmas Party’!